Let’s face it, we’re all busy and life is constantly giving us hurdles to overcome every day. Whether it be at school studying for that upcoming test, at the workplace trying to meet a client’s deadline or even personal crisis at home. The fact is that life can be very demanding at times and this can add to mental, emotional and physical stress. Stress is something we want to reduce as much as possible because it can create many negative effects on our mind and body. Such symptoms can include mild memory loss, depression, anxiety, weight issues, skin conditions (such as eczema), insomnia, moodiness and digestive problems just to name a few. Stress can cloud our normal sense of judgment and cause us to act erratically and as a result, make us counterproductive in our day to day activities. There are numerous ways to relieve stress but yoga is widely considered one of the single most effective ways to do so. If practiced correctly, yoga can be used to calm the mind, relax the body and work on a much deeper level to create a stronger inner self which will ultimately build resilience toward the negative effects of stress. This is what we want so we can get back on track with our daily activities with a clear head and a smile on our face. All the information you need to know on how to effectively practice yoga to relieve stress is found within this book. 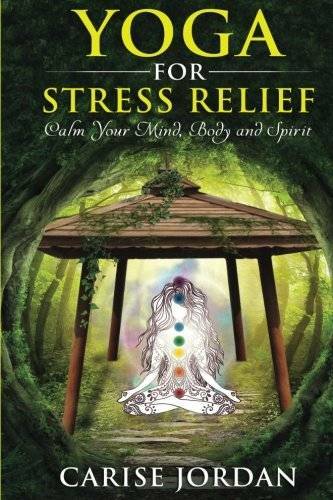 This book also includes: • Benefits of yoga for the mind, body and spirit • Powerful ways to reduce stress and anxiety • Most effective yoga poses for mental health and relieving stress • Beginner’s yoga workout routines • Chakras and holistic wellness • Mindful meditation • Deep breathing techniques • Improving inner health and well being • And much more!